Tourism is one of Binh Thuan Province’s chief advantages; therefore, it should focus its developmental efforts on expanding infrastructure and attracting investment, said President Nguyen Minh Triet at a meeting with the provincial Party Committee and members of the public on July 9. At the meeting, the provincial Party Committee reviewed its socio-economic development for the first six months of the year and its implementation of Politburo Resolution 49 entitled "Strategy on Judiciary Reform." The province’s tourism sector attracted 1.263 visitors, an increase of nearly 15 percent over the same period last year, Huynh Van Ti, Secretary of Binh Thuan Party Committee said. The province has also nearly fulfilled targets for its temporary and dilapidated house elimination plan, said Ti. Speaking at the meeting, President Triet lavishly praised the province’s recent achievements, particularly its successful Party building and poverty reduction efforts. 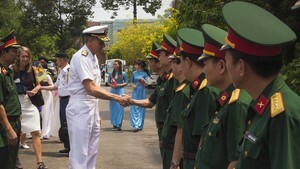 Earlier on July 8, President Triet presented gifts to families of war martyrs and wounded soldiers and to those who had been awarded the title of Heroic Vietnamese Mothers, in anticipation of War Martyrs and Wounded Soldiers day on July 27. 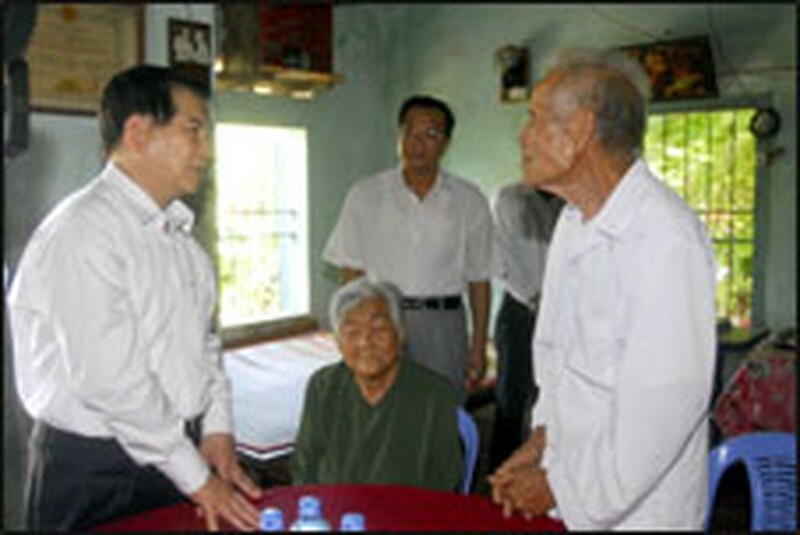 He also visited to the Cham Culture Museum in Bac Binh District and some outstanding enterprises in the province.